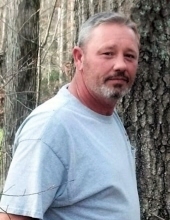 Jerry Allen Taylor, age 53 of Williamsburg, Ky., passed away Monday, March 25, 2019 at U. K. Bluegrass Hospice Care Center in Lexington, Ky. He was born June 6, 1965 in Williamsburg, Ky. to Jerry F. and Oneida Alder Taylor. He was preceded in death by his brother; Larry Taylor, Nieces; Jessie Laine Taylor and Jolee Grace Taylor, grandparents; Frank and Ruby Taylor, Clarence and Elsie Alder, special uncle; Elmer Alder, and father-in-law; Estill Collins. He is survived by his wife Jennifer Taylor of Williamsburg, Ky., 2 children; Conner Taylor of Williamsburg, Ky. and Kailee Taylor of Williamsburg, Ky., special friend like a son; Kyle Davis of Williamsburg, Ky., Father and Mother; Jerry F. and Oneida Taylor of Williamsburg, Ky., sister; Melissa Taylor of Williamsburg, Ky., brother; Gary Taylor (Linda) of Williamsburg, Ky., 4 nieces; Sydnee Prewitt, Jenna Prewitt, Jessica Collins, and Ally Collins, 4 nephews; Chris Taylor, Daniel Taylor, Cooper Prewitt, and Ben Collins, 2 great nephews; Jacob Taylor, Jaron Taylor, Mother-in-Law; Phyllis Collins of Corbin, Ky., brothers-in-law; Phillip Collins (Carole) of Indianapolis Indiana and Jamie Collins of Corbin, Ky. and a host of relatives and friends to mourn his passing. Funeral service will be 7:00 PM Friday, March 29, 2019 at Grace Christian Fellowship with Rev. Gerald Mullins and Rev. Bill Carpenter officiating. Interment will be in the Emlyn Cemetery. Visitation will be 4:00 PM Friday, March 29, 2019 until the funeral hour at Grace Christian Fellowship. A graveside service will be held at 11:00 AM Saturday, March 30, 2019 at the Emlyn Cemetery. Pallbearers will be Connor Taylor, Mike Croley, Mike Campbell, Scott Cooper, Bobby West, Fee Brown and Jamie Collins. To send flowers or a remembrance gift to the family of Jerry Allen Taylor, please visit our Tribute Store. "Email Address" would like to share the life celebration of Jerry Allen Taylor. Click on the "link" to go to share a favorite memory or leave a condolence message for the family.